Geek talk: Musa acuminata and Musa balbisiana. Description: The most widely grown fruit (over 100 countries, and 1000+ varieties) Banana; is also the most consumed food product in the world. after wheat, rice and corn. We apparently eat 100 billion bananas a year! The Banana plant is unique in that virtually all parts of the plant (with the exception of the roots) are either edible or used in a dining occasion. The stem is a vegetable used in S.Indian cooking. It is also used in Mohinga (often called the Burmese national dish of rice noodles and fish soup). The flowers are beautiful to look at and vazhapoo as it is called in Tamil is a vegetable delicacy in Tamil Nadu. The Plantain (unripened banana) is a vegetable and widely used in W.Africa, the Caribbean, Latin America and S.India. Here is some interesting trivia. An average Banana contains about 450 mg of Potassium. Potassium in its isotope form K-40 makes plant tissues radioactive. So Banana is naturally radioactive! No kidding. It is. But don't panic. Take comfort in that this unstable isotope K40 will decay in abou 2.5 billion years! 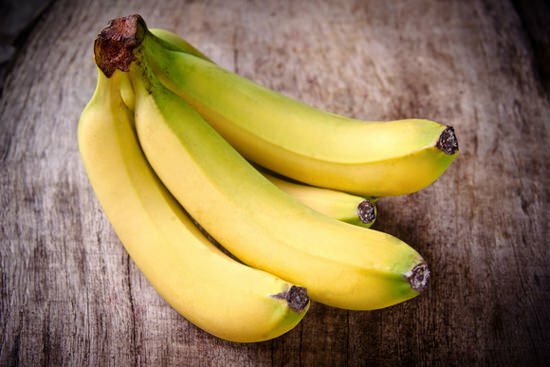 India followed by Ecuador, China, Columbia and Costa Rica are the world major producers of banana and together they contribute for half the global Cavendish output . Banana is also the fourth largest agricultural product in the world in terms of consumption . . They are a good source of potassium and magnesium which aid in maintaining normal blood pressure and are heart protective. Bananas are rich in the soluble fibre pectin. Thereby it assists healthy digestion and eases out constipation. Bananas are a caloric dense fruit. Consumption of just one banana anytime through the day makes one feel energetic.